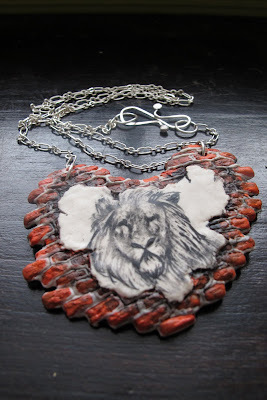 Here is what I came up with for a commissioned "lion necklace". 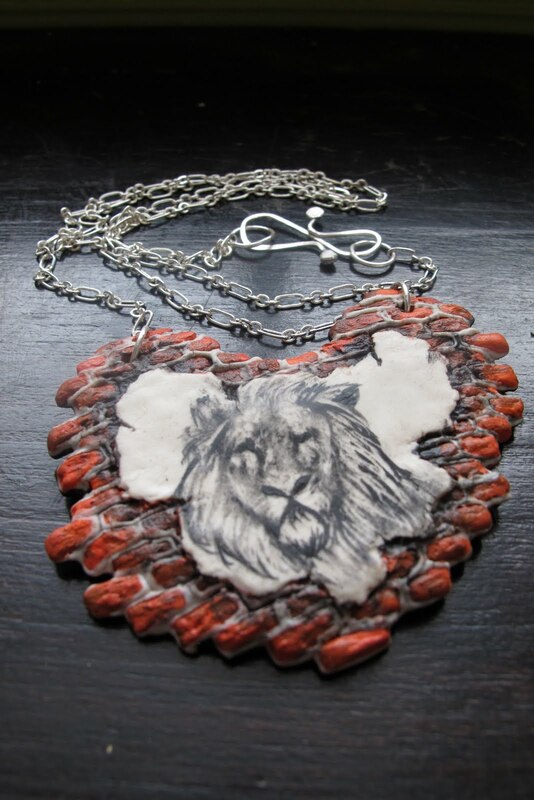 It's a porcelain pendant, painted with mason stains. The chain is sterling silver with a handmade silver clasp. Drop me a line if you have something on your wish list!